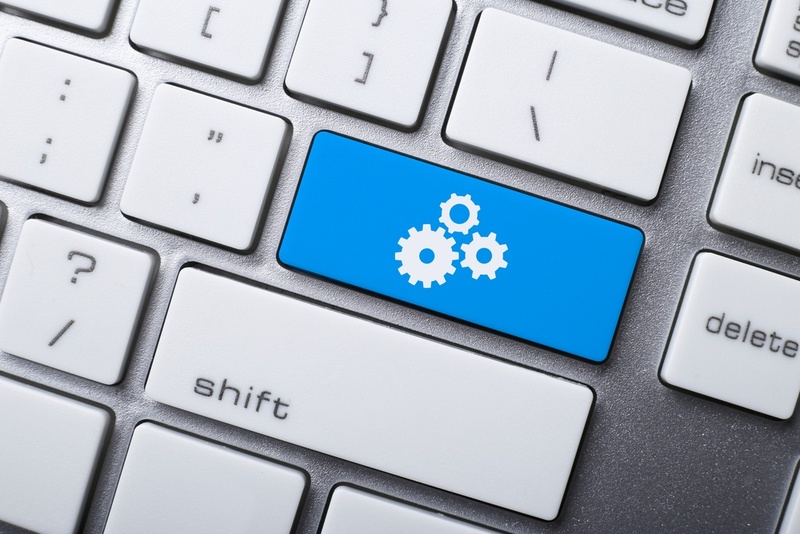 Business Process Automation: Is a Semi-automated Process Right for You? Automation is one of the hottest topics in digital transformation and business process management right now — but automation is only valuable for your business as long as it leads to optimization of your processes. In some cases, what makes the most sense is not fully automating everything, but leaving some steps and processes to be completed manually. Semi-automated processes are those that benefit from automation during certain steps of the process while requiring other steps to be completed by human beings. So what are the situations best suited for semi-automated processes, and how can you decide whether such a solution is the right choice for you? Take the Quiz: Is Custom Software Development Right for Your Project? As the name suggests, semi-automated processes require a manual intervention or the involvement of a human being at some point in order to complete the process. On the other hand, fully automated processes can run entirely from beginning to completion without requiring the human touch. There's no correct answer every time about whether to use semi-automated or fully automated processes. In most cases, however, businesses choose full automation unless there's a clear and pressing need for semi-automated processes. Semi-automation is used most often when it's critical for humans to verify that the end results of the process are what they should be. It can also be an initial step for businesses that are unsure about how far to go with automation, but that want to try it out and then perhaps move toward full automation if they like the results. When Should You Use Semi-automated Processes? One example of a process that works well with semi-automation is order entry. In a fully automated environment, automation would not only enter the orders into the system, but also create a shipping notice and invoice the customer. However, many clients choose to automate the data entry part in order to save time and effort, but leave the rest of their ordering process to be manual. Companies may leave their ordering process semi-automated for several reasons. In general, semi-automation is an excellent choice for processes that require manual approval by a human being. For example, the price of a particular order, or the quantities of items in that order, may be unusually high or low, in which case it should raise a few flags. It may also be that the sale of the chosen products is restricted to only certain customers, and the purchase will require manual intervention to determine whether the customer is eligible. Semi-automated processes might also be desirable where fully automating the process would create a critical security risk. For example, if a customer orders through a fully automated system, then there need to be limits to alert the business when the customer makes an unusually large order, such as depleting the stock of a particular item. Even processes that are nearly fully automated can use flags to get a human opinion when necessary. For example, if a customer typically purchases $15,000 worth of product in a month and they now spend that much in a few days, then something is likely amiss. Businesses not only can, but should set up automated alerts that place the order on hold so that your employees can determine whether the order is legitimate or fraudulent. When Should You Use Fully Automated Processes? Fully automated processes are a good choice for all other processes that don't require human intervention. Often, the deciding factor between semi-automation and full automation is how important a given process is to the business. If the process is non-critical and simply ports data from one location to another, then you can almost certainly fully automate that process. Other examples of easily automated processes are reporting, forecasting and sending orders to suppliers. Client self-service is an example of a process that can fall on either side of the automation fence. For the most part, interactions can be fully automated, but you may also choose to include flags that escalate an issue to a human customer service agent when certain events occur. The good news is that you don't have to figure out the answers to these questions alone. Once you have an idea of which processes you'd like to automate, you should consult with a custom software development company who can help you decide whether semi-automation or full automation makes the most sense. Make sure that the company you talk to has past experience with doing automation projects so that you can get the best advice. In the end, the conversation about semi-automated and fully automated processes isn't really about a clear divide between the two options. Instead, what's available to you is more like a spectrum that measures how close you are to fully automating your processes. At some point, almost every process, fully automated or not, will raise a flag that requires human intervention. The danger is that companies will get complacent about their processes and begin to ignore these flags. Even if you're fully automating a lot of your business, you still need to pay attention when you receive alerts so that you can deal with any issues as they arise.